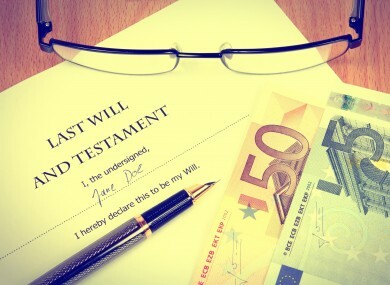 AN OPINION PIECE on TheJournal.ie this morning describes the problems faced by those who are left bereaved by a partner or loved one who dies without having a will in place. Someone who dies in such a manner is said to have done so intestate – that leaves the division of their money and possessions in the hands of the state, which has specific rules regarding such situations. In the case of a married couple or civil partnership without children, the law is simple – the deceased’s estate passes to their spouse. Things are a deal murkier for unmarried couples however. But is that something that you worry about? We’re asking: Are you worried about not having a will? Email “Poll: Are you worried about not having a will?”. Feedback on “Poll: Are you worried about not having a will?”.